February 7, 2019 – The Orpheus Solution is integrated with Google Cloud for next-generation clinical media platform. Clinical media platform and video analytics company Orpheus Medical announced today that it is leveraging Google Cloud to develop innovative solutions for the healthcare industry. Orpheus Medical’s platform for clinical video and point-of-care imaging workflow, combined with Google Cloud’s infrastructure and capabilities, will enable hospitals to securely and efficiently manage the growing volumes of data generated by surgical and endoscopic procedure video and point-of-care imaging. November 6, 2017 – Leading Children’s Hospitals and Teaching Facilities use Orpheus for Mobile Image Capture and Video Management; New Software release for Point of Care Ultrasound and Web Platform for Endoscopy Documentation and Physician Reporting. International clinical media platform and video informatics company Orpheus Medical today announced the expanded use of its Clinical Media Platform at several teaching institutions and marquee children’s hospitals – covering a wide range of clinical areas, including surgical suites, endoscopy (GI, Pulmonary and ENT), digital image capture using mobile devices as well as live streaming and collaboration from the Catheterization and Electrophysiology labs and dermatology surgical procedure rooms. This coincides with the release of the latest versions of Orpheus Web and Mobile. May 23, 2017 — Based on its recent analysis of the clinical media workflow solutions market, Frost & Sullivan recognizes Orpheus Medical with the 2017 Global Frost & Sullivan Award for Product Leadership. Orpheus Medical has greatly improved clinical workflows and care coordination in the visible light imaging arena. It has come into the spotlight with its Orpheus Clinical Media Platform, which integrates seamlessly with any imaging informatics system to present an abundance of clinical video and imaging documentation functionalities. In addition to addressing workflow needs, it can be used for post-operative surveillance, physician collaboration, teaching, and quality monitoring. November 17, 2016 — Expanded implementation of the Orpheus Clinical Media Platform in six GI rooms at OSF Saint Francis Medical Center improves workflow and eliminates manual processes. 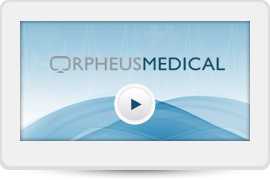 International clinical media platform and video informatics company Orpheus Medical today announced the expanded use of its Orpheus Clinical Media Platform at the OSF Saint Francis Medical Center (part of OSF HealthCare). In another vote of confidence for the Israeli startup, OSF HealthCare has decided to expand the use of the Orpheus solution to all six of its GI rooms at the St. Francis Medical Center in Peoria, Illinois. October 18, 2016 — New version of Agfa HealthCare Enterprise Imaging platform extends support for patient-centric care along the care continuum. Agfa HealthCare announces today that it is releasing a new version of its Enterprise Imaging platform. Customer-driven enhancements include academic, multi-site, radiology and additional specialty workflows for medical imaging. The Enterprise Imaging platform has already been adopted by hospitals worldwide, and has been recognized as the Number 1 Enterprise Imaging solution in the November 2015 report “Trends in Medical Imaging Technology”. The platform also has additional modules that can support the extensive demands of research and teaching programs. For example, the latest version of Agfa HealthCare’s Enterprise Imaging for Radiology enables virtual conferences via a browser using the universal XERO viewer, further enhancing seamless collaboration between radiologists and clinicians. In addition, Video Management, powered by Orpheus, enables remote viewing of live cases in the 2/3 operating room and real-time audio and video consultation. Surgical videos, endoscopies and supported multimedia can all be live-streamed.